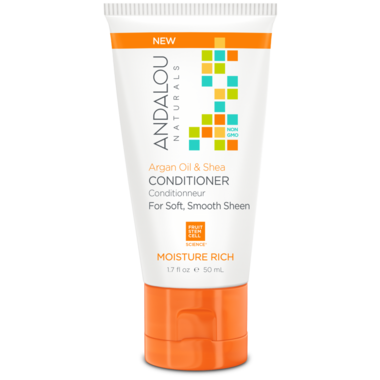 The ANDALOU naturals Argan Oil & Shea Moisture Rich Deep Conditioner is now in a convenient travel size. This moisture rich treatment rescues dehydrated, damaged, and over-processed strands. Omega rich Argan oil and fruit stem cells deeply penetrate to nourish, repair, and restore for improved strength and elasticity, minimizing split ends, static, and frizz for silky, smooth shine. It's just ok, nothing special. I have fine hair and colour it, so I was looking for a vegan deep conditioner for occasional use. I find it doesn't moisturize enough for me, but at least it doesn't weigh my hair down. I wouldn't purchase again, but I will still use the rest of what I have on hand.